These tips for selling your boat will help you sell it faster, easier and for the greatest return. Show pride of ownership – A boat showing it has been cared for will sell much faster and for more money than one appearing to have been neglected. If you are preparing to sell your boat and it has deferred maintenance, invest in sprucing it up before putting it on the market. Peeling varnish, dull surface finishes, rust stains, dirty bilges, and smelly interiors will discourage most would-be buyers from making an offer. Money invested in bringing the boat back will be returned by higher offers and quicker sales. Consider the cost of moorage, insurance and interest paid (if mortgaged) while the boat is languishing on the market due to its condition issues. Deal with a reputable broker – There are many brokers to choose from. Brokers with the CPYB (Certified Professional Yacht Broker) have a requisite 3 years’ experience and have undergone rigid testing and peer review to receive this designation. Select a broker specializing in boats similar to yours. The broker should be bonded and have a separate trust account to hold deposit funds. Your chosen broker should use Yachtworld.com, Boats.com, and BoatWizard as tools to help get your boat sold. A broker who has a stand-alone internet site will give your boat additional exposure. While print advertising has become much less effective, it is still important for your broker to place ads strategically to expose your boat to the largest audience. Make your boat visible – The best advertisement for your boat……is your boat. Make sure it is seen…….not just a picture, but the boat itself. Get your boat moored where buyers come to look at boats. Invest to have your broker put the boat in appropriate boat shows. Ask your broker to have “open boat” weekends. If you are still using your boat while for sale, have broker signage aboard while out cruising. You may be the best ambassador to help in getting your boat sold. Be patient – Boats today are taking a lot longer to sell than in years past. There are many boats on the market competing with your boat. 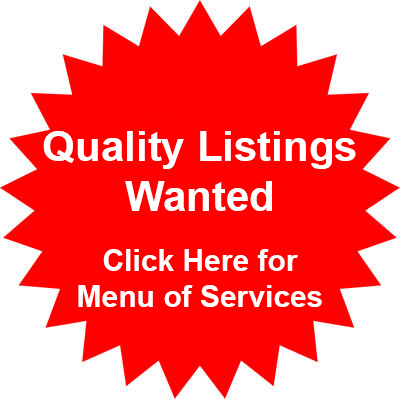 If your broker has your boat listed on the various brokerage sites, is available for showings, has a pleasing personality and professional image, stick with him.